On Saturday I ran my slowest parkrun of the year…and I LOVED IT! With the Silverstone Half Marathon on Sunday I wanted to save my legs but I hate to miss a parkrun so I figured I’d just take it easy over the 3.1 miles of Pittville Park. As we all know though, that is much easier said than done! Once the assembled masses are launched from the start line like confetti from a cannon it’s all too easy to get swept up in the excitement and find yourself pulling far to hard. I’ve done it several times before, twice running completely unintentional PBs the day before big races! 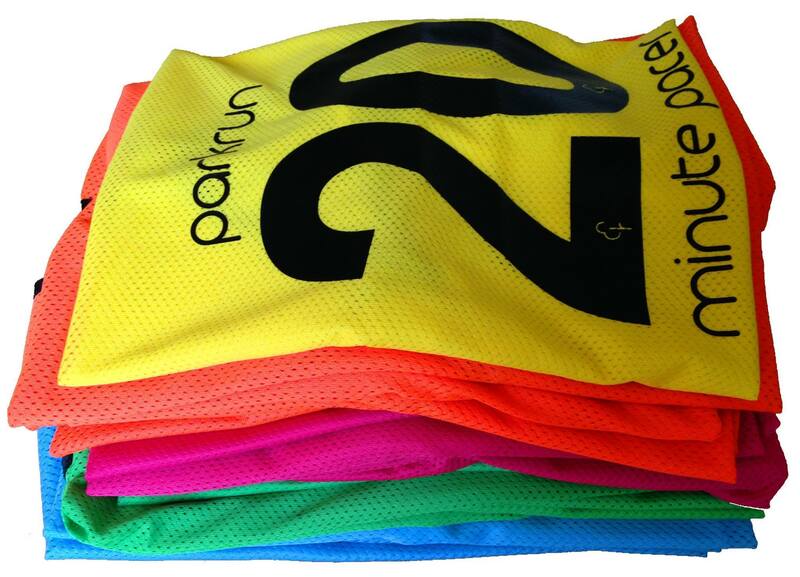 The new pacing bibs at Cheltenham parkrun are just lovely! The run began with the usual mad dash as 364 keen parkrunners all vied for their place on the path, but soon everyone had found their rhythm and it was all about me and the watch. I got ever so slightly ahead of myself but figured that was a good place to stay if I wanted to be certain of getting people home under 29 minutes. As we came to the end of the first lap I was aware of being followed, which I suppose is a good thing for a pacer! I asked behind if anyone was using me for a time and discovered that George (a junior) and Amanda were both aiming to stick with me for new PBs…all of a sudden the pressure was on! So for the next two laps I was alternating between studying my watch to make sure I wasn’t getting too fast and checking over my shoulder that my shadows were still with me. As we entered the final kilometre I briefed George on when to leave me and kick for home, he was on course to smash his old time. Amanda had faded slightly but again she was primed to take a big chunk off her previous best. I did creep a little ahead of target towards the end, but by that point I hoped I’d done enough. George went off like a rocket in the last 200 metres to finish in 28:21 (a PB by over 2.5 minutes!) and as I crossed the line at 28:34 I looked nervously over my shoulder for Amanda. She came home in a fabulous 28:59 (maybe she should have been the pacer!!) for another new PB by 23 seconds! I love parkrun, but I especially love how it can keep throwing up new experiences and new joys. I think pacing may just be my new favourite thing and I’ll definitely be helping myself to a brightly coloured bib again soon. This entry was posted in parkrun, Running, Running, Training and tagged Cheltenham, pacing, Parkrun, PB, running, volunteer. Bookmark the permalink.